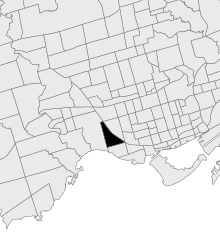 Roncesvalles is a west Toronto neighbourhood in Toronto. Roncesvalles largely features condos, accounting for 39% of sales, followed by semi-detached houses at 35% and detached houses at 13%. 2-storey houses are the most common style and the majority of properties have 3 bedrooms. Interested in new home listings in Roncesvalles? Get Realosophy Home Alerts in your Inbox.